The last few weeks have been quite busy for techies, bloggers, and smartphone lovers as they had to keep an eye on a huge number of smartphones being launched. Some of them were excellent like the Galaxy Note 5, a quite expensive choice while some of them were budget friendly, like the Moto G 3rd Gen and Galaxy J Series handsets, but we got a huge number of queries regarding the best smartphone under Rs. 15,000. Well, budget phones and that too in India, this particular segment holds the best-selling ones. So, here we are with the Top 5 smartphones under Rs. 15,000 you can buy now in India. This is kind of guide which has been made for a good buying experience and overall performance of the phones mentioned. However, We will also mention the pros and cons of the smartphones in this price segment. So, let’s get started. Motorola has sold this phone for three years, with some upgrade each time. And this time, we have seen a significant level of upgrade on he latest Moto G 3rd Gen. The phone has a 5 inch 720p display with Gorilla Glass 3 and a pixel density of 294ppi which is quite decent, but yes not the best in this price segment. The phone has a great design with a beautiful back holding the camera and LED flash, under which there is the Motorola logo. The phone is powered by a Qualcomm Snapdragon 410 processor clocked at 1.4GHz, which is good enough for day-to-day usage, and coupled with 2GB of RAM. The phone runs Android 5.1.1 Lollipop out of the box and I’m quite sure it will get the Android Marshmallow upgrade pretty soon as Nexus and Motorola get the upgrades very quick. The stock Android is fluid and free from bloatware. However, there are some Motorola apps like Moto Assist, Moto Migrate etc. which helps you in migrating data from your old phone to new and assist you. Also, it has got Moto Smart actions like you can twist your hand to open the camera and do other tasks with some specific gestures. The phone has a 13MP and 5MP camera combo, there is dual LED flash with the rear camera with f2.0 aperture and the front facing camera has got f2.2 aperture. The phone has 16GB of internal storage which can be further expanded up to 32GB via microSD. The phone has dual LTE SIM card slots and other connectivity options like Wi-Fi, Bluetooth etc. But the main feature that makes the phone stands out in the crowd is the IPX7 certification, under which the phone has the ability to stay under water for 30 minutes. We are totally sure that you won’t find any phone under Rs. 15,000 which has this feature, so overall it’s a very decent phone which extremely good built quality, performance, and features. So, We would recommend this for anyone who is looking for a great phone which has good features, good build quality and of course, the stock Android. So, you can get this phone for just Rs. 12,999 from Flipkart. Well, some people had doubts regarding the Moto G 3rd Gen so we had written a Moto G 3rd Gen FAQ to answer all the questions. However, the device has some negative aspects wich I have listed below in a table of pros and cons. Though, we think this phone deserves the top position in our list of Top 5 Android smartphones under Rs. 15,000 with an overall good performance and features. Coming up in our list of Top 5 Android smartphones under Rs. 15,000 is a phone from smartphone giant Samsung. Samsung has been trying to get into the market with budget friendly lineups, we have seen the A Series which completely erased the idea about how Samsung phones look. 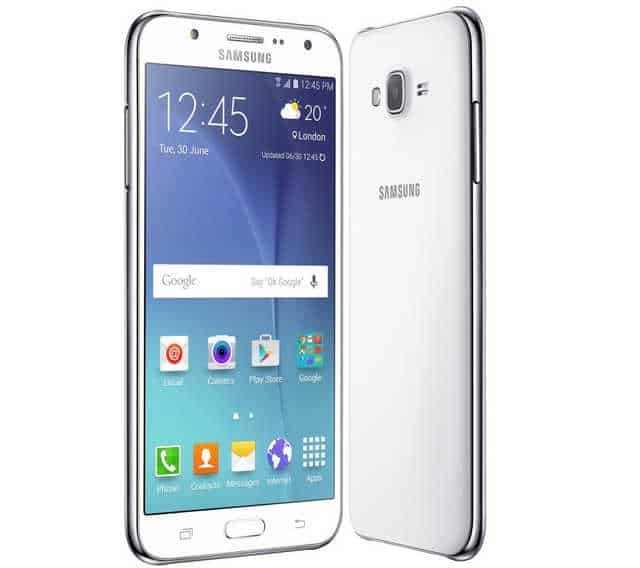 And now, Samsung is back with Galaxy J5 and J7. The Galaxy J7 is a very good device and performs well in every aspect. The phone has a 5.5 inch HD AMOLED display which is very common in high-end Samsung phones and due to that despite having a resolution of just 267ppi the display doesn’t look dull, instead it is vibrant and colorful. The phone is powered by Samsung’s very own Exynos 7850 octa-core processor clocked at 1.5 GHz coupled with 1.5GB of RAM. The device has 16GB of inbuilt storage and a whopping 128GB capacity up to which you can expand using a microSD card. The phone has a 13MP rear snapper and a 5MP front camera with flash for great selfie experience. The phone is available for Rs. 14,999 on Flipkart. The phone runs Android 5.1 Lollipop with TouchWiz UI on top and has connectivity options like LTE, Bluetooth, Wi-Fi etc. The phone is juiced by a huge 3000mAh battery to keep it going throughout the day. The only thing that I didn’t like is the plastic built of the phone, which was not expected as Samsung had concentrated on the design and build quality a lot in their A Series. So, here are the pros and cons of the Galaxy J7. Some phones have been setting benchmarks and the Asus Zenfone 2 is one of them. However you will get only the variant with 2GB of RAM, but we think it’s a great choice. It is powered by a Quad Core, 64-bit Intel Atom Z3560 processor clocked at 1.8 GHz. It sports a 5.5 inches Full HD display protected with Corning Gorilla Glass 3. The phone has a 13 MP rear & 5 MP front camera. It runs Android v5.0 Lollipop with Asus’s ZenUI running on top of it. It supports Dual SIM & 4G LTE (on one SIM only). It is good on storage and has a good 3000 mAh battery with fast charging feature. When it comes to design, the phone looks very good and more importantly it’s always good to have a phone which is totally different from other phones out in the market. But, again as we are bound to find out some positive and negative sides on the phones, we had to write a bit, though we think that the cons can be easily overlooked as they are not permanent. 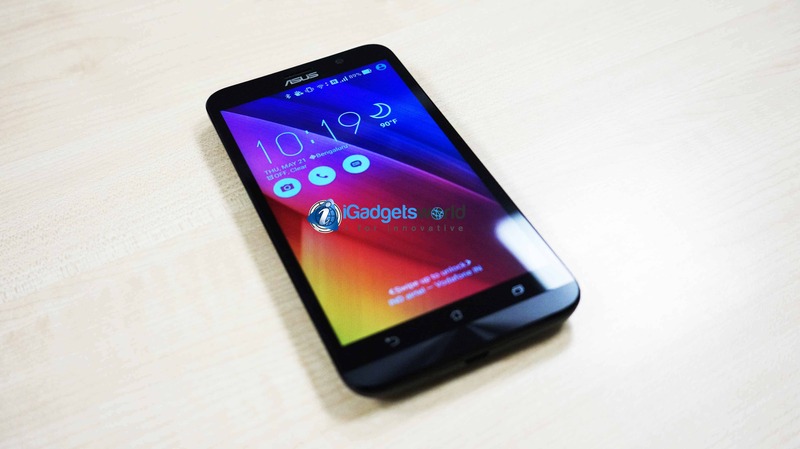 You can also check our detailed review of the Zenfone 2, however, we had reviewed the highest variant with 4GB of RAM. However, the one with 2GB RAM is good enough to get into Top 5 Android smartphones under Rs. 15,000 list. The phone is available for the same price of J7, but yes it looks far more premium than the J7 in terms of looks and design. It is available on Flipkart. How can we forget to include a great phone from Xiaomi which has to be in our Top 5 Android smartphones under Rs. 15,000? And yes, it’s powerful and beautifully designed Xiaomi Mi4i. 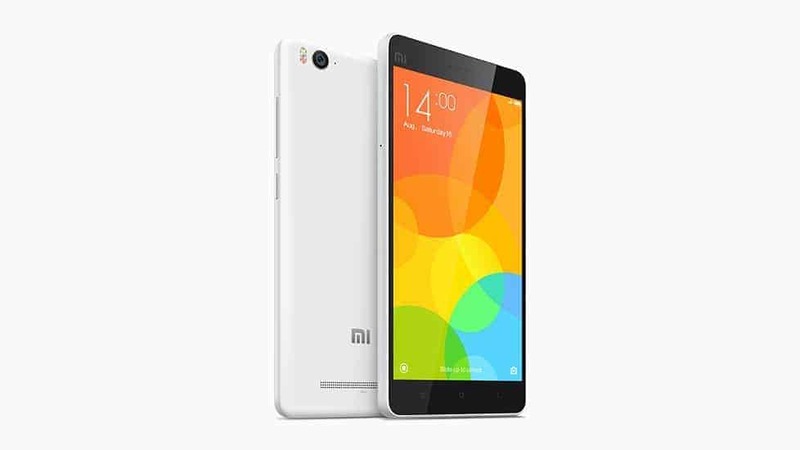 The Mi4i is an excellent phone and the specs speak half of the story. It boasts a 5 inch Full HD (1920 x 1080) display with pixel density of 441 pixels per inch which comes protected with Corning OGS Glass. Talking about the hardware, it runs on 2nd Gen Qualcomm Snapdragon 615 64-bit Octa-Core processor in which 4 performance cores running at 1.7 GHz and 4 power saving cores clocked at 1.7 GHz. It runs on Adreno 405 GPU with the support of OpenGL ES 3.0. It also got more than enough amount of ram that is 2 GB LPDDR3 RAM and 32GB of ROM. Coming to the Camera, it has got a 13 MP Sony/Samsung rear camera with integrated Flash support and a 5 MP front-facing camera for perfect selfies. It has also got a long-lasting battery of 3120 mAh which can serve you a whole day long. Coming to the UI, it runs on the latest MIUI 6 which is based on Android v5.0.2 (Lollipop) & can be upgraded to MiUi7. Well, Mi4i is one of the best in our Top 5 Android smartphones under 15K and is available for Rs 14,999, yes the same price of Zenfone 2 and Galaxy J7. The last in our list of Top 5 Android smartphones under Rs. 15,000 is from Huawei. 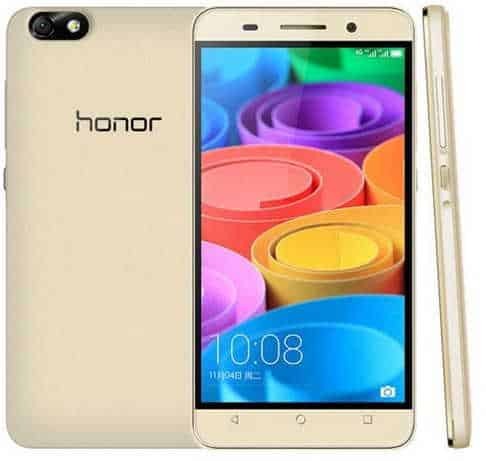 The Huawei Honor 4X sports a 5.5 inch HD (720×1280) display and it is powered by a Snapdragon 410 processor clocked at 1.2GHz, coupled with 2GB RAM. The phone houses 8GB inbuilt storage but only 3.7 GB is usable. However, you can expand it up to 32GB. The handset features a 13 MP camera on the back and a 5MP front snapper. The phone packs a 3000mAh battery. Connectivity options include Dual LTE+LTE, Wi-Fi, Bluetooth etc. This phone costs much lesser than any other phone in this category, but yes it performs pretty well and you can get it for just Rs. 10,499 from Flipkart.